From Danish designer Dea Kudibal. 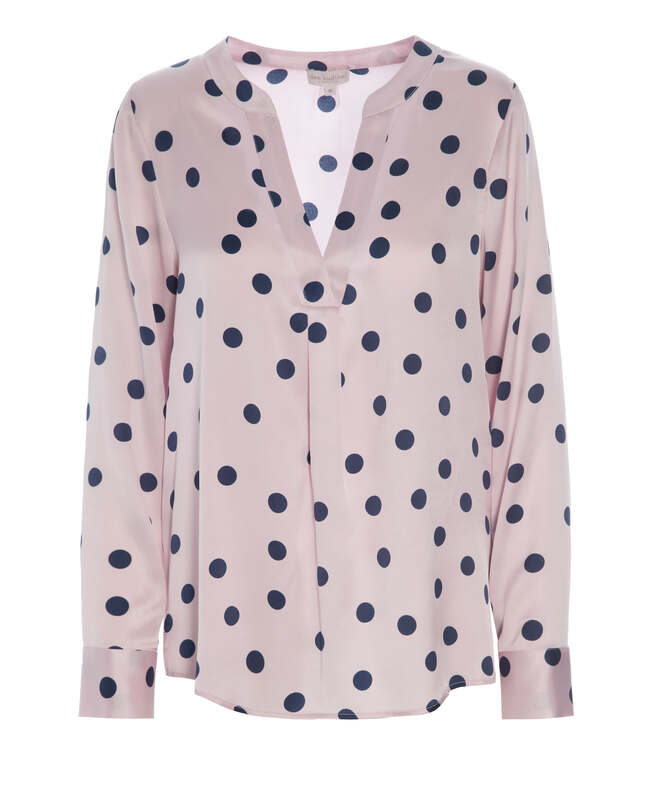 Beautiful silk blouse in stunning navy dots on pink print. Features V cuff detail and button cuff. Simple elegance.